If you found out today that you or someone you love had a serious medical condition requiring long-term care, what would you do? Would you be prepared to take care of them? Would you be prepared to take care of yourself? For millions of Americans, the answer is a frightening “I don’t know.” Most households have little to no planning in place to deal with a serious medical or financial hardship, and some don’t even realize that Medicare does not provide coverage for long-term care. When disaster strikes, failing to have a plan in place makes dealing with a difficult situation ten times harder. Waiting to develop a plan once tragedy hits means that it will already be too late. It’s important to recognize that Medicaid planning is an important part in securing the financial future of one’s family. Many people believe that because they have Medicaid, they are covered in case of a serious medical incident, but long-term coverage through Medicaid is not automatic or guaranteed. What would you do if your Medicaid claim were denied? This is the unfortunate reality for thousands of people every year. If it happens to you, do you know what to do next? Over 50 million Americans are enrolled for Medicaid, including nearly 4 million people in Florida alone. Despite what many people think, Medicaid covers more than just seniors; it also covers low income pregnant women, children, and people with disabilities. Regardless of whether you or your loved ones fall into any of those groups at the moment, it’s important to start making plans for your long-term care in the event that a medical condition arises. It’s also important to consider Medicaid planning for long-term care. 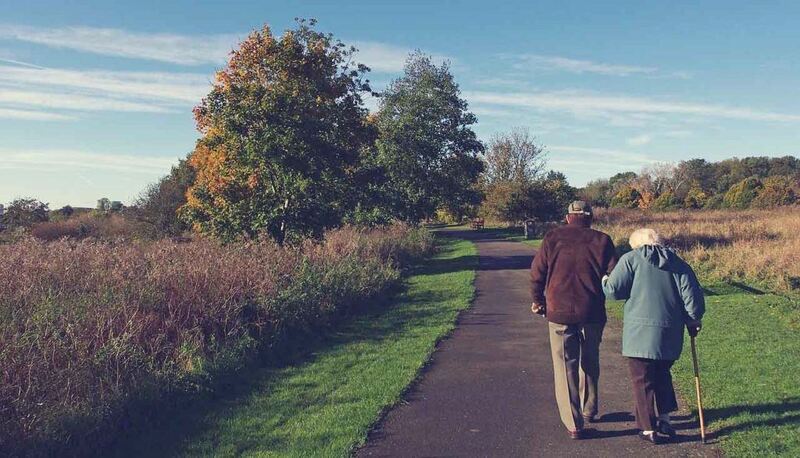 Long-term care benefits planning is a crucial part of making sure you and your loved ones are in good financial shape and that you have everything you need during any type of medical situation. 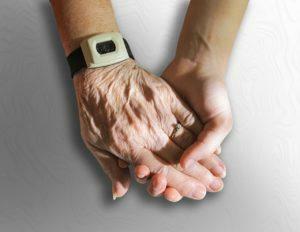 There is often a lot of fear and anxiety when it comes to long-term care planning. After all, no one likes to picture themselves in a position where they cannot care for themselves. Some people also feel shame at the notion that they may need help from others. Unfortunately, this also means people avoid thinking about the financial burden they place on their families when they fail to make sufficient plans for long-term care. The reality is that as we age, the majority of Americans will need or at least benefit from some type of long-term assistance. With this in mind, the logical decision is to make plans for potentially needing long-term care and to talk to your family members about those plans before you need them. Whatever you are going through, it’s important to remember you are not alone. Countless individuals just like you have had to struggle with issues of providing long-term care for themselves or their loved ones. There is no reason to feel ashamed of needing help. The important thing is to reach out for help when you need it and to know who to reach out to. Doing Medicaid planning for long-term care will allow your family to rest easy knowing that you have a plan in place. If you apply for a Medicaid claim and it gets denied, don’t panic. In this situation, you have two options: go it alone to fight the claim or find an experienced Medicaid attorney who can guide you through the process and expedite the results you need. 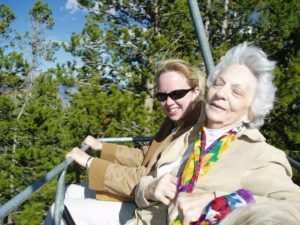 But, the absolute best option is to work with a qualified Elder Law Attorney before you apply for Medicaid to avoid costly mistakes, which can cause disqualification. 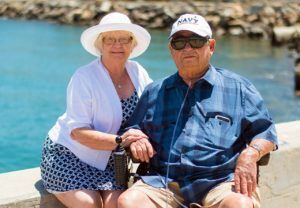 Facing the bureaucracy and the mountains of paperwork needed to fight a rejected Medicare claim can be a challenge for almost anyone, especially for those who don’t deal with these issues on a daily basis. Being able to appeal a denied Medicare claim is not just a matter of being intelligent. The complex rules and regulations in place can be overwhelming to anybody, especially when you are also dealing with a medical situation. Needing help doesn’t mean you are not capable, and it certainly doesn’t mean that you are a bad spouse or a bad son or daughter. Getting a Medicaid lawyer is the best way to get the results you need for yourself or your family member. It’s important to understand that you don’t want just any type of lawyer when dealing with Medicaid. When handling a rejected claim, you want to get a Medicaid lawyer who specializes in dealing with the process and getting results for their clients. You want to find someone you can trust to do a good job and who won’t charge you an arm and a leg. You don’t want a Medicaid attorney who will take advantage of you in a desperate situation and charge you for every penny they can. That’s not what we do. Our goal is to get you the results you need quickly and not draw out the process. Your family is important to us, and we treat our clients the way we want our own family members to be treated. At the Law Offices of Keane, Thomas & Pinnacoli, we provide legal and long-term care Medicaid benefits planning services throughout Martin and St. Lucie Counties. We provide the most comprehensive and holistic Medicaid planning for long-term care Stuart and Port St. Lucie have to offer. We can help you make plans for your financial future and we have the experience and drive to appeal your denied claims and get you the help you need. For long-term care Medicaid benefits planning, Stuart, FL is a magnet for people providing all types of services and guarantees. However, very few lawyers in Stuart are qualified to get you the help you need. You want someone who has a track record of results and who can fight for your needs. At the Law Offices of Keane Thomas & Pinnacoli, we have experienced Medicaid attorneys with in-depth Medicaid knowledge. Not every Medicaid lawyer has the depth of knowledge and know-how that we do. Once you contact us, our team will work tirelessly to resolve your claim. We put our name and our hearts into getting you the help you need. We have the Medicaid attorneys that Stuart trusts for long-term care and Medicaid benefits planning, and you can too once you give us a call. If you live in the Port St. Lucie area and want experienced attorneys for Medicaid planning for long-term care, then we should be your first choice. Our team has some of the most experienced attorneys in Medicaid disputes, making us the Medicaid attorneys that Port St. Lucie trusts to take care of their families. Every Medicaid lawyer in Port St. Lucie knows that Florida is full of people who are desperate for solutions, but not all of them put integrity above profits. At the Law Offices of Keane Thomas & Pinnacoli, getting you results is what’s most important to us. We work hard every day striving to have the best Medicaid and long-term care planning services in the area. We try to provide the most comprehensive long-term care Medicaid benefits planning in the area as the attorneys Port St. Lucie families depend on in their moment of need. What choice will you make? Go it alone, or contact a team of experienced professionals committed to getting results? Dealing with health issues is stressful enough, so getting the help you need shouldn’t be. Contact the Law Offices of Keane Thomas & Pinnacoli today so we can start putting our team to work for you. We specialize in Medicaid planning for long-term care in Stuart and Port St. Lucie, and we look forward to helping you and your family get the care you deserve.